LMM Fund Featured on Valentine in the Morning! 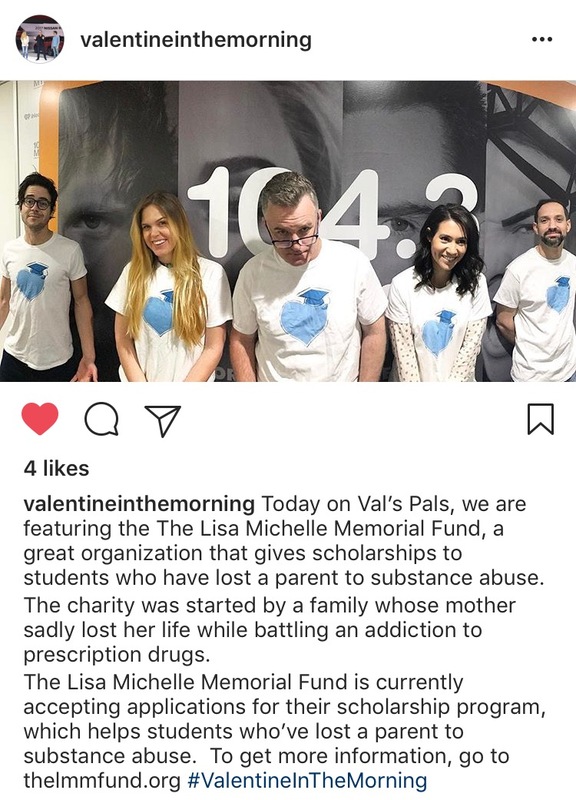 We are so excited to say that the Lisa Michelle Memorial Fund was recently featured on 104.3’s Valentine in the Morning radio show and their Instagram page. Thank you Valentine in the Morning for bringing awareness to our organization!